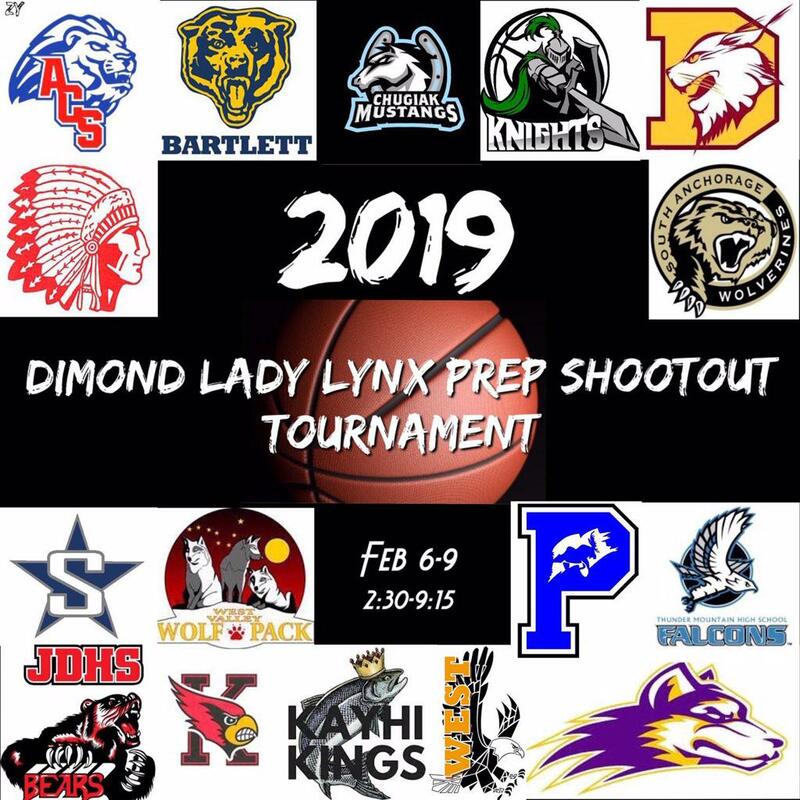 It is that time of year for the largest girls basketball tournament in the state of Alaska... the 2019 Anchorage Kia Dimond Lady Lynx Prep Shootout. This 16 girls team battle for the best regular season girls tournament in the state. Bartlett, Chugiak, South Anchorage, West Anchorage, Colony, Thunder Mountain, ACS, West Valley, Juneau-Douglas, Wasilla, Soldotna, Ketchikan, Palmer, Kenai Central, Lathrop, and host Dimond. The games start Wednesday, Feb. 6th! Winners on Wednesday go to the Gold Bracket and Losers go to the Maroon Bracket. Be sure to come out and watch the premier girls tournament in the state.